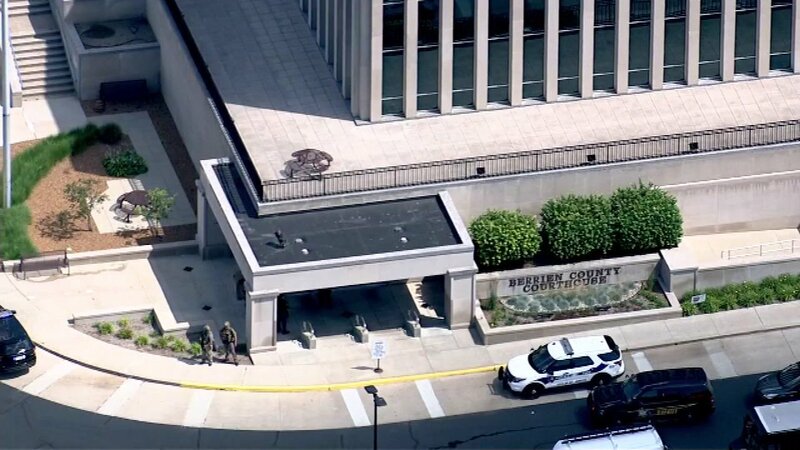 ST. JOSEPH, Michigan -- A jail inmate trying to escape from a western Michigan courthouse wrested a gun from an officer Monday, killing two bailiffs and injuring two more people before he was fatally shot by other officers, a sheriff said. The inmate shot a sheriff's deputy, killed the bailiffs and then shot a civilian in the arm in a public area, the sheriff said. Michigan Gov. Rick Snyder tweeted that police have secured the scene at the courthouse and have begun their investigation.